Rinse lentils thoroughly. 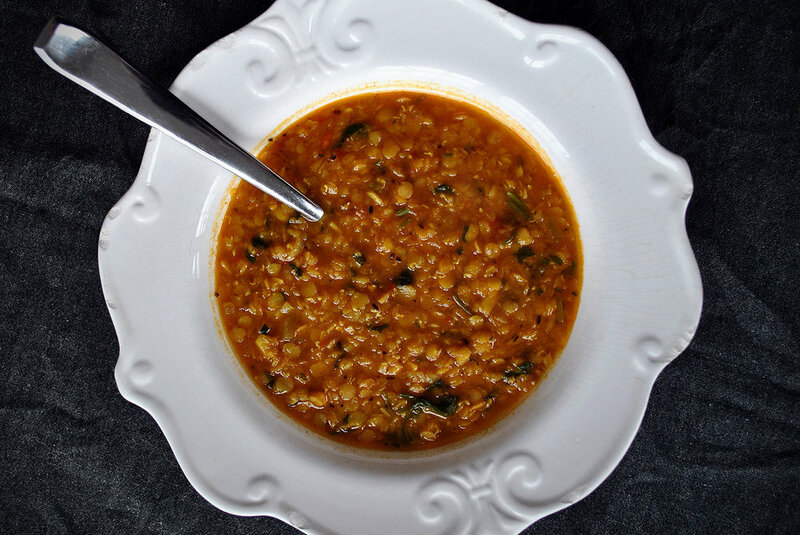 Add water and lentils to a medium pot over medium heat and bring to a boil. Lower and simmer (skim the foam) until lentils are cooked (about 6 minutes). Set aside. In a small pan, over high heat, add extra virgin olive oil, cumin, garlic and onion. Lower heat and sauté till onions are soft (3-5 minutes). Add the turmeric and continue sautéing. Add 1/4 cup of spicy Tomato ‘Nduja and salt. Mix and sauté (1-2 minutes). Pour about 1 cup of the cooked lentils into sauté pan and mix. Shut off flame and add sauced lentils back into pan of lentils over medium flame. Mix and simmer to reduce just a bit (about 2 minutes). Don't over reduce! Add cilantro and mix. Serve!